I knew I wanted to make something yummy and festive for Cinco de Mayo. But, I wanted it to be healthy. However, when I eat Mexican food I am all about the refried beans, cheese, and sour cream. 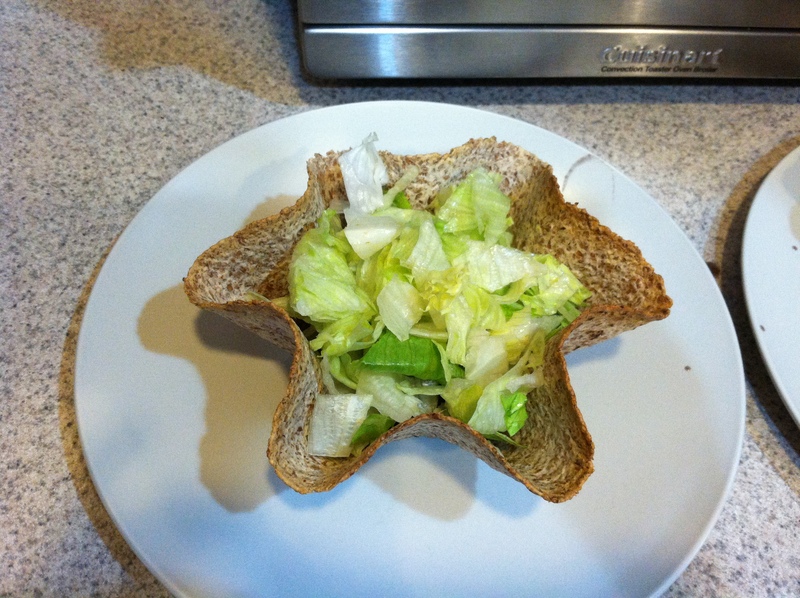 After much thought, I decided to make a healthy tostada. 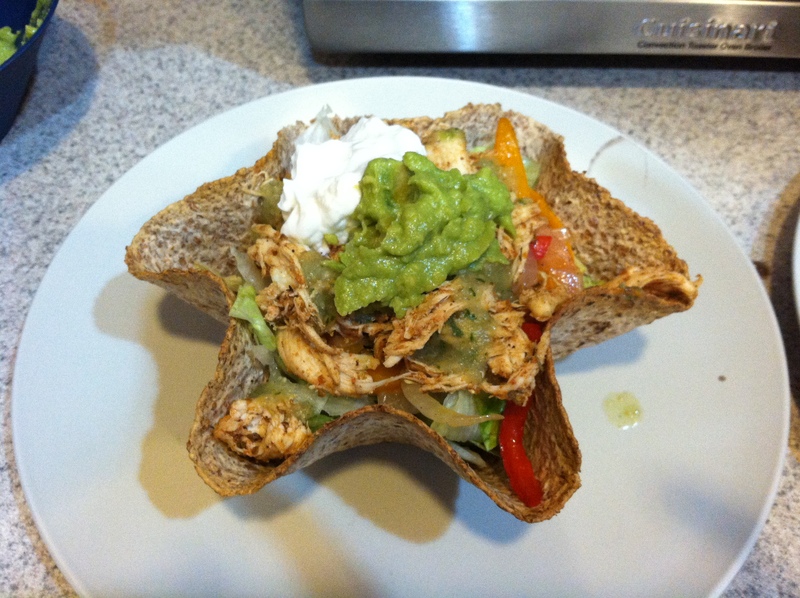 These tostadas ended up tasting sooooo good!!!! My husband even loved them, which was evident by him having 2 whole tostadas. This recipe is somewhat labor intensive. It is not hard, there are just a lot of steps to put this amazingness together. 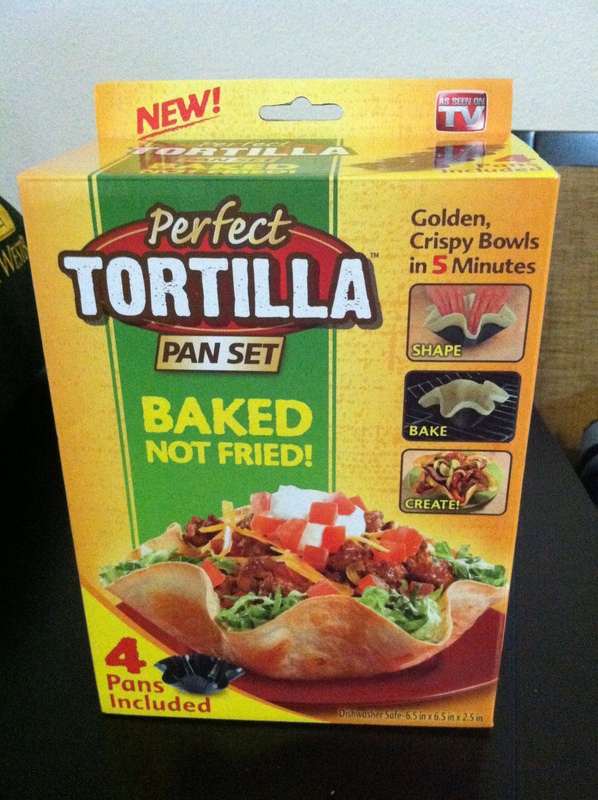 First, let me introduce you to “Perfect Tortilla.” Yes, this is a “As seen on T.V.” product. Super cheesy I know. But, it actually works and is amazing!!! 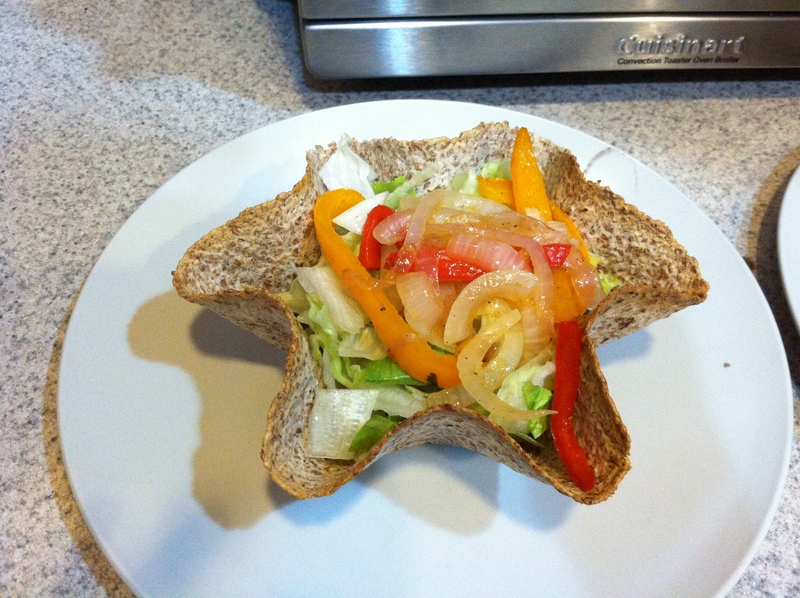 It is a great way to make the shell of a tostada using any healthy tortilla you want. Plus it’s baked not fried!!! Step 1: Put your tortillas in the 4 “Perfect Tortilla” pans and bake following the directions. 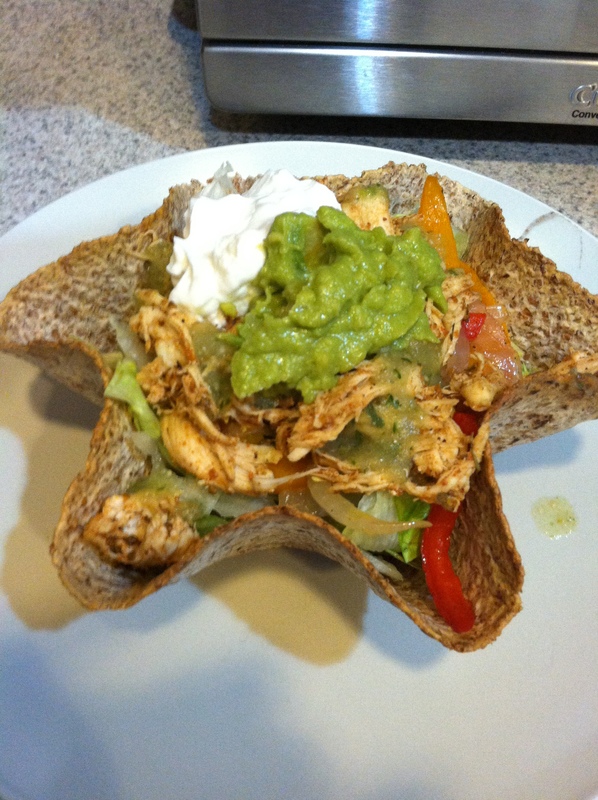 I used Ezekiel Sprouted Grain Tortillas. - While the tortillas are baking start cooking your chicken. 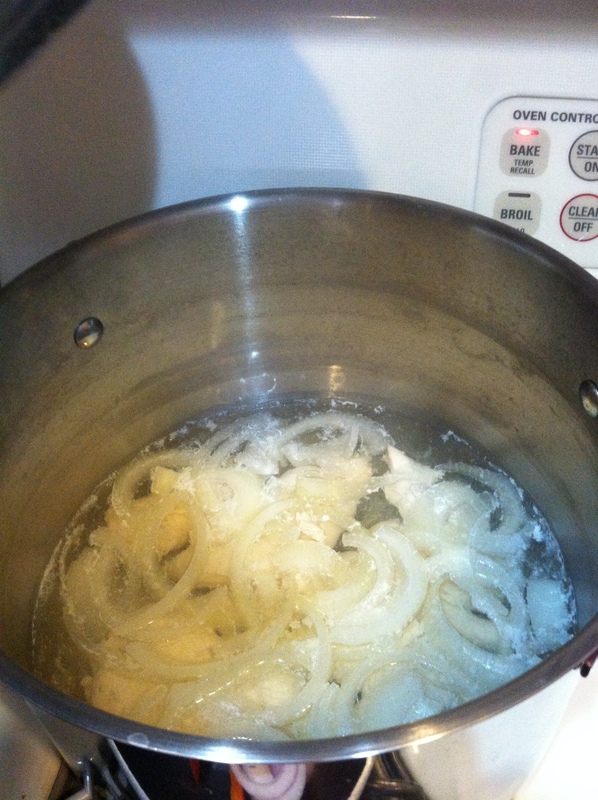 Put 1+ pounds of boneless skinless chicken tenders and ½ sliced onion in a pot and cover with water. 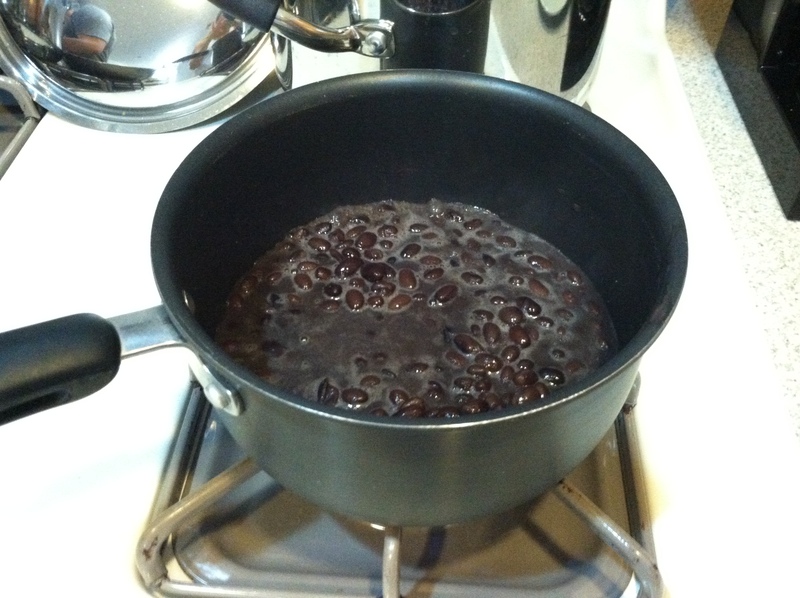 Bring to a boil, and then reduce heat to low so that the water is barely simmering. Partly cover and let it simmer for 10 minutes. Turn off heat completely and let it sit in the hot water for about minutes. 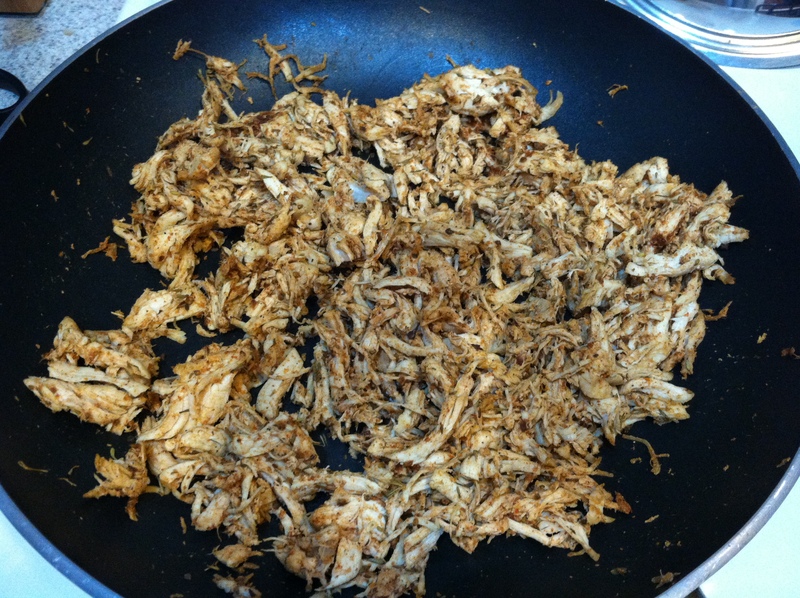 - Once it’s cooked through strain and shred the chicken. 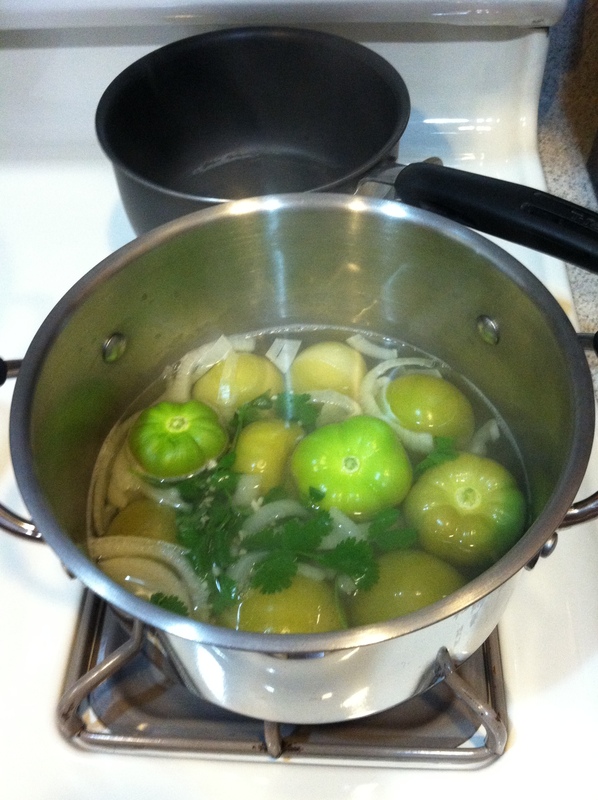 (Make sure to save the onions to use in the Salsa Verde). Then toss the chicken in some Mexican seasoning. I got my seasoning from Sprouts and it is salt free. - Take 1 pound of tomatillos, ½ chopped onion, 1-2 serrano chile peppers, 1 tsp minced garlic, and a big handful of cilantro and put in a pot and cover with water. - Bring to a boil on high heat, then reduce to medium-low heat and simmer until the tomatillos are soft, about 10-15 minutes. - Remove from heat and allow it to cool for a bit. Then, strain the liquid (but reserve it for later). 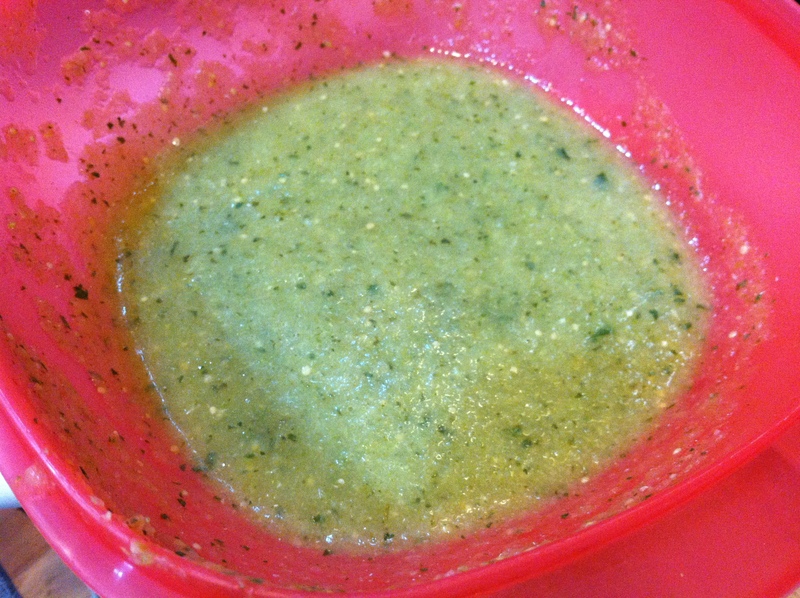 - Blend the tomatillos, onion (now add the onion from the chicken too), Serrano chile pepper, garlic, cilantro and salt. Slowly add some of the reserved water and blend until desired consistency. 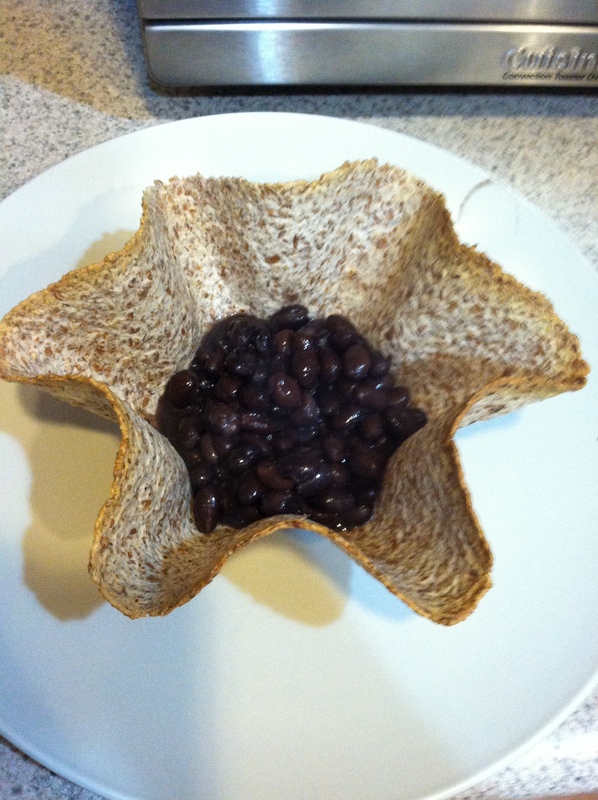 - Put black beans in the bottom. 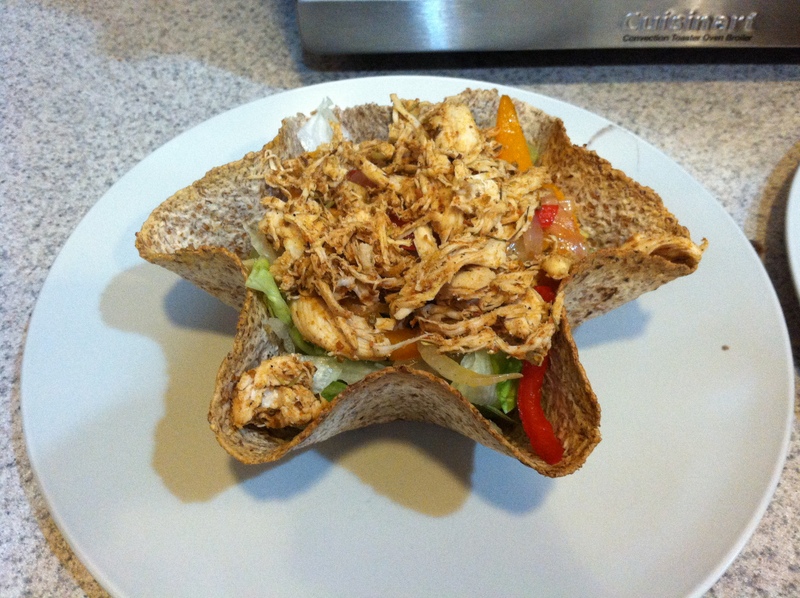 I used low sodium ones that I heated in a pot before putting them in the tostada shell. - Then add fajita veggies. 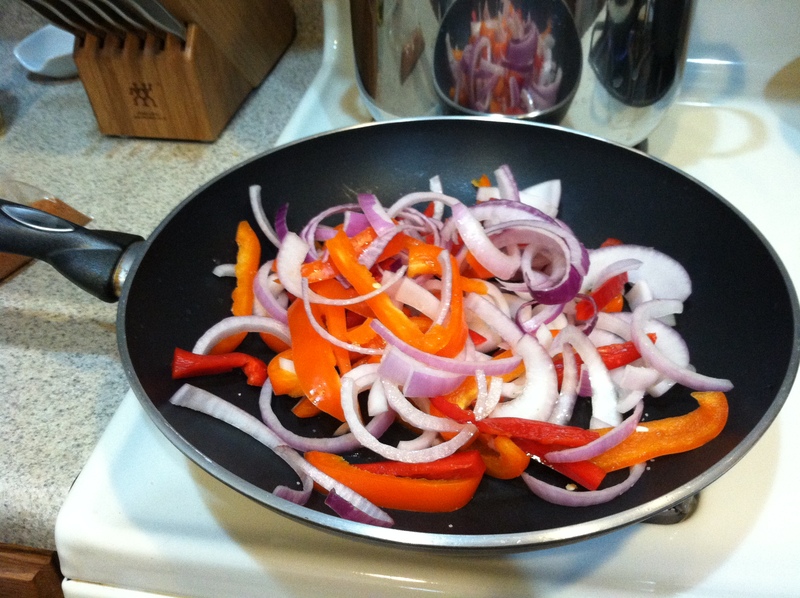 Just sauté onions and bell peppers in olive oil until soft. - Top with Salsa Verde. And then top with guacamole- I used a pre-made on from Sprouts that was all-natural with no sugar added. I also topped it with Non Fat Greek Yogurt- to replace sour cream. And there you have it!!!! I swear from start to finish it took less than 1 hour! Not only was it an amazing meal, but we had enough left overs to make salads the next day too!